AplusWeb is a team of 4 people with around 20 years experience in web design, management, and rescue. We started back in the early days of the World Wide Web in Australia using Netscape Navigator and Notepad, but now we specialise in maintaining and building WordPress sites and rescuing hijacked, hacked and held-to-ransom sites, yes if you can’t get your site back from whoever is holding it for ransom for whatever reason let us know. 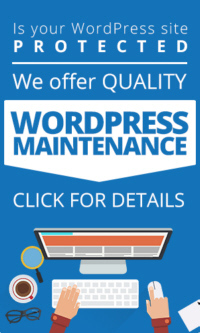 We love WordPress, we think it’s the most user-friendly website client ever built and we have built and still maintain hundreds of them. If you would like your own site, for a blog or any other use choose a theme.